Tag Archives for " Japan "
Every Aikido enthusiast, from amateurs to senior practitioners, has heard of Sensei Hikitsuchi. He was one of the greatest names in the world of Aikido, one of the most important experts in this noble martial art. If you want to learn a bit more about Sensei Michio, visit our dojo for a free lecture about his life and the vast influences his teachings have on the art of Aikido. Here we will present only basic information about the biography of MichioHikitsuchi, and we invite you to join us for a free lecture where you can hear more valuable information. Also, we organized several Aikido experts to speak about the Sensei, and you will be able to purchase a book about him. Michio had a tough life as a child. His father passed when he was only two and his mother when he was seven. He grew up living with his grandmother who introduced him to basic martial arts, knowing a few forms of naginata combat. At the age of nine, he started to learn Kendo. His talent quickly showed, and he soon transitioned to other martial arts, including bojutsu, karate, and jujutsu. He had to wait until the age of fourteen to see the path life will throw at him. Michio always used to say how Morihei was like a father to him. Their relationship was truly close. They met when Michio was a boy of fourteen.He had to struggle to reach the great master because he needed recommendations from five people to start training as Morihei`s student. As years passed, Michio proved himself to be an excellent student, and he developed a very strong bond with his teacher, not only a professional but a father to son relationship. Morihei taught him everything he knew, about Aikido as a martial art and as a worldview, a philosophy. Not only that Moriheilearned to apply Aikido in practice, but he also became a walking encyclopedia of Aikido teachings. 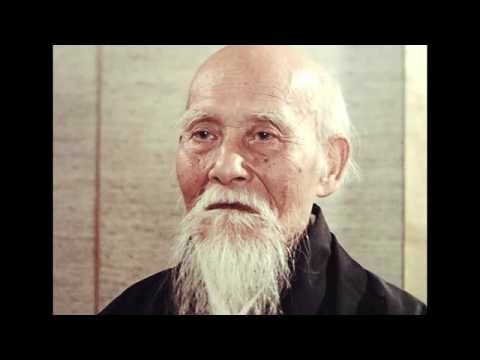 His students and other teachers named him the “Aiki Computer” because he could practically recite the teachings of Ueshiba. Today, Sensei Hikitsuchi is one of the legends of Aikido, and probably the most well-known student of the founder, Morihei Ueshiba. As his abilities and expertise grew, so did his fame around the world. He held many lectures in Europe and the United States, teaching at dojos which his students started and developed. He achieved the 10th Dan rank at age 46. He died aged 80, in his homeland of Japan. If you want to hear more about Sensei Hikitsuchi from other Aikido experts and maybe buy a book about his life, come and join us in our dojo for an interesting lecture. Have You Ever Heard About The Dojo And Its Real Meaning?